Past Week Has Been Cool & Wet. 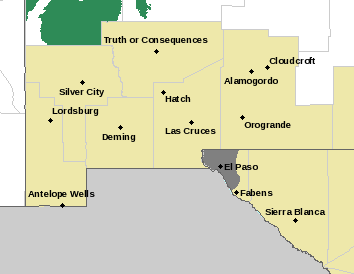 On my way home from work this past Tuesday I was able to capture these two shots looking west along the New Mexico/Texas State line (east of US Hwy 62/180) at clouds topping the Guadalupe Mountains. 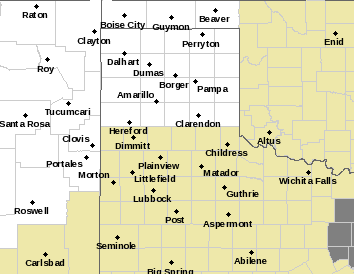 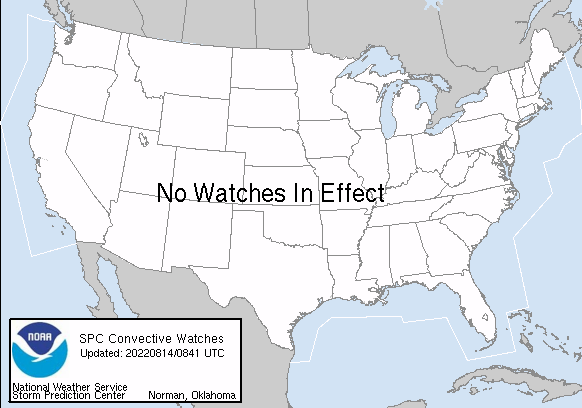 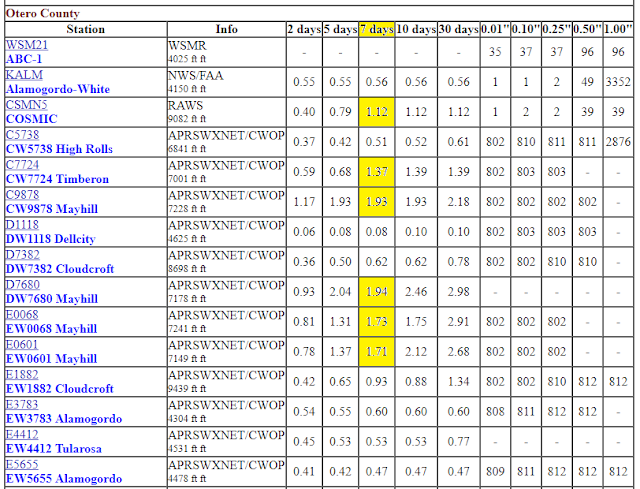 NWS Climate Co-Op & ASOS Stations. 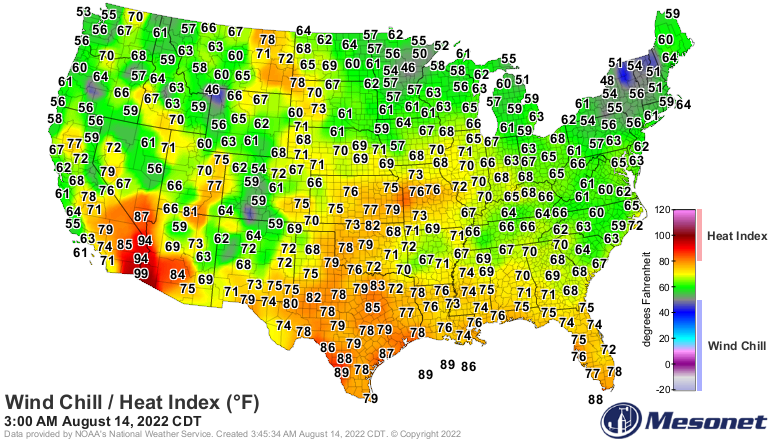 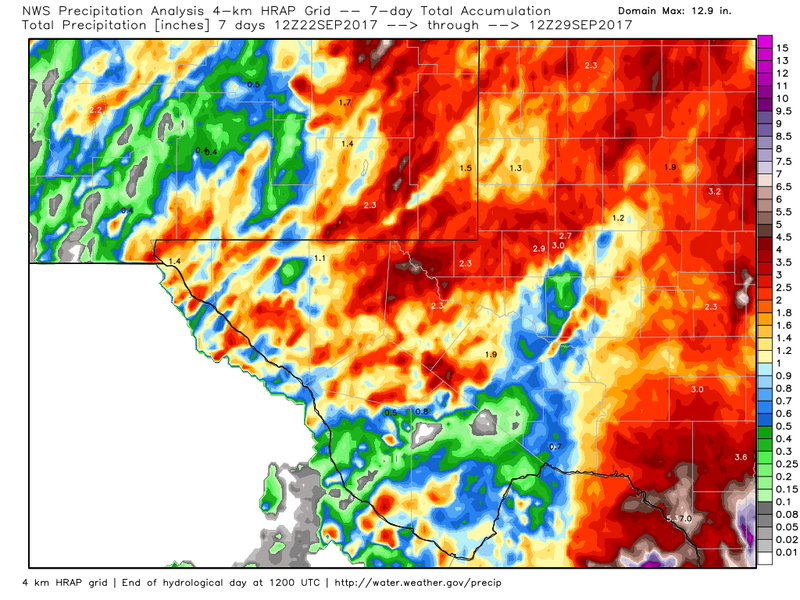 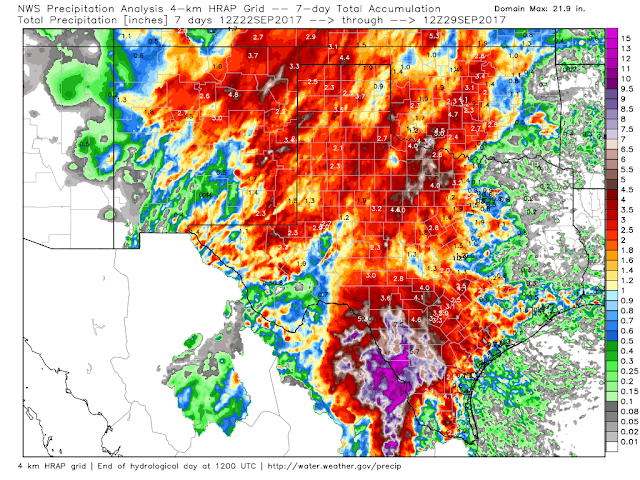 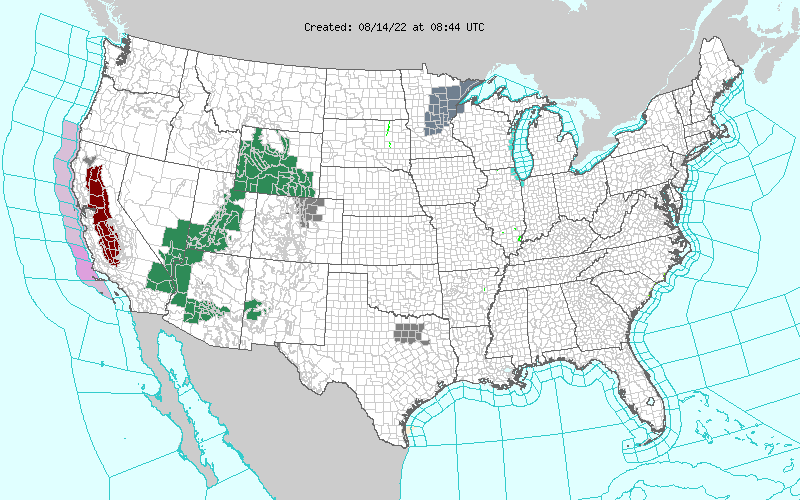 This past week has been a soaker for the eastern one half of New Mexico including the Southeastern Plains. 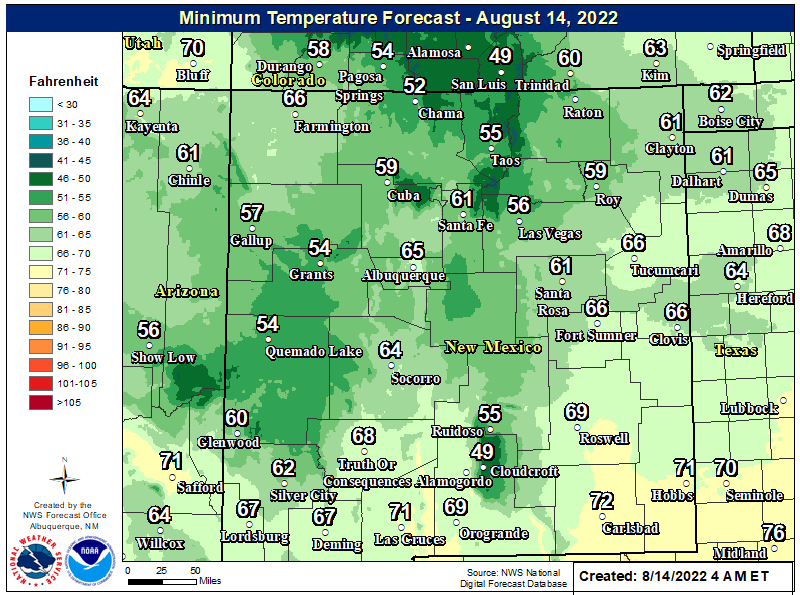 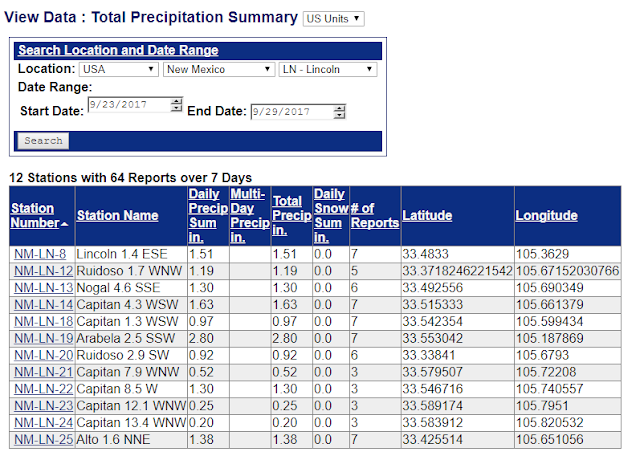 As of 9 AM MDT this morning the heaviest 7-Day rainfall total I can come up with in the local area is 5.59" measured at the Portales CoCoRaHS Station located 5.1 miles south-southwest of town. 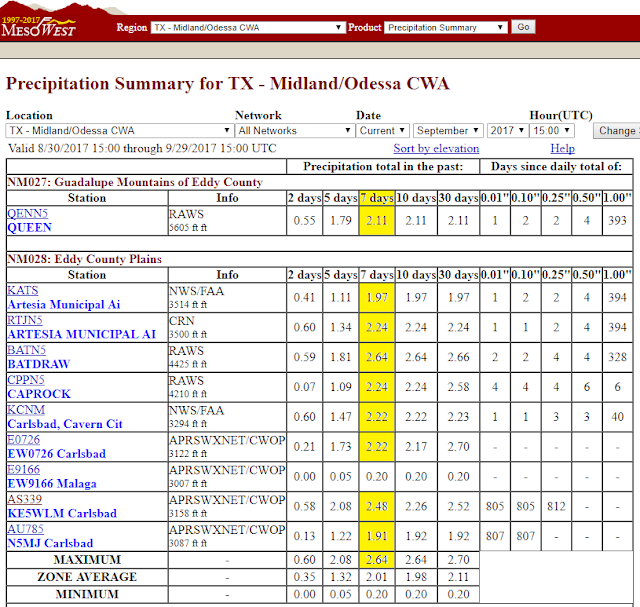 The Texico CoCoRaHS Station located 13.6 miles north of town has measured 4.37" of rain for the past week. 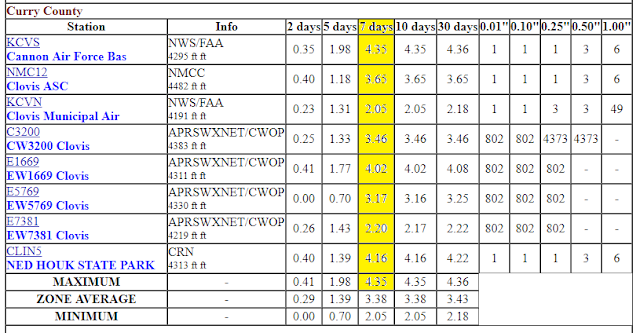 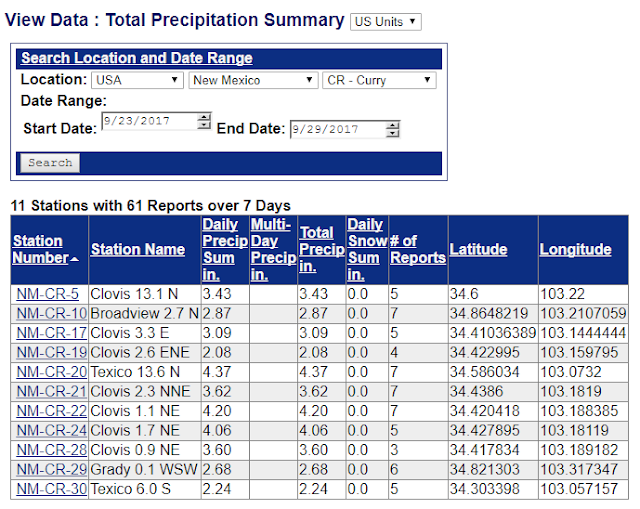 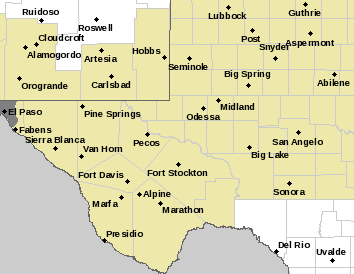 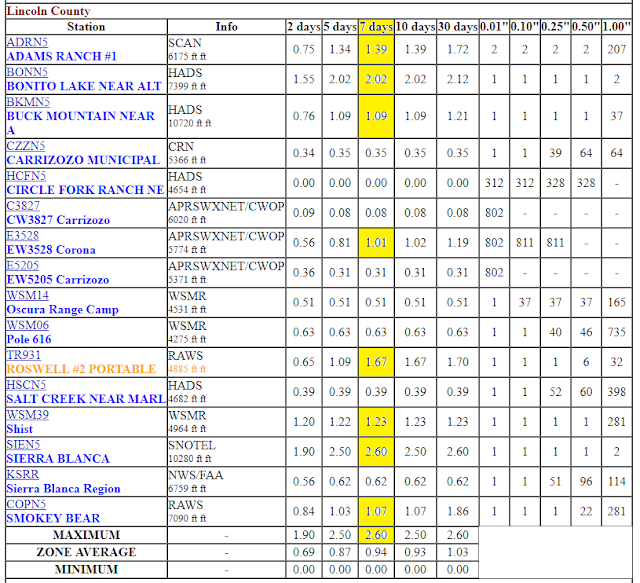 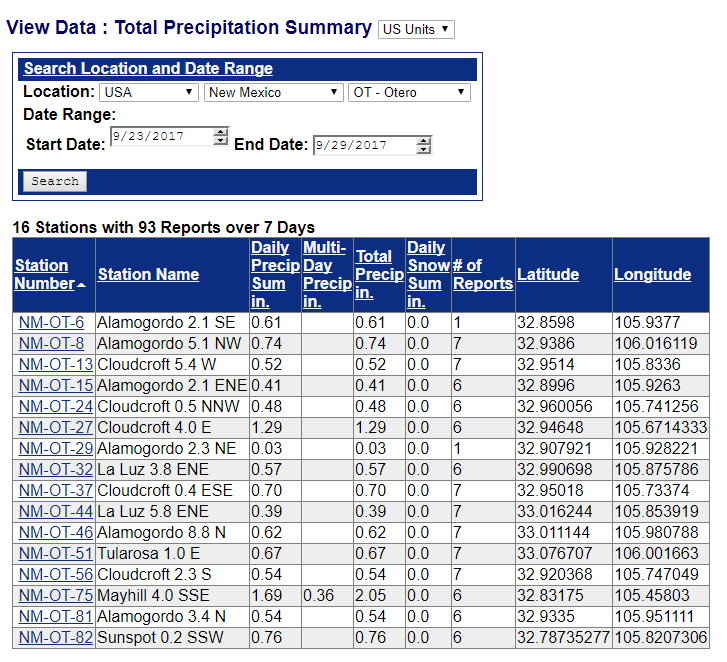 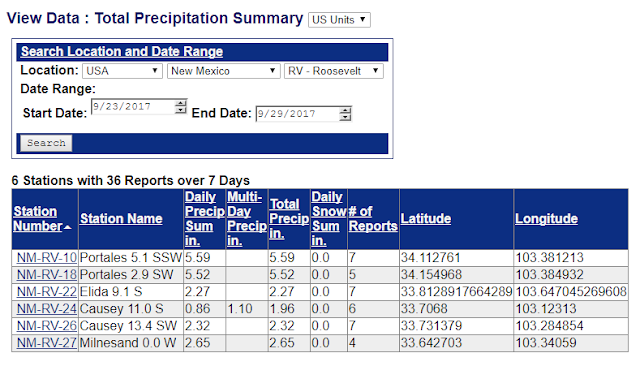 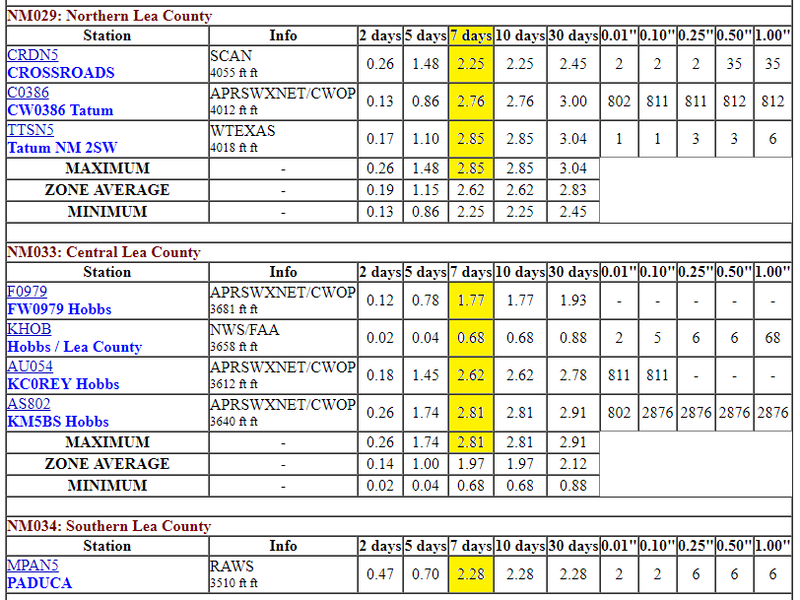 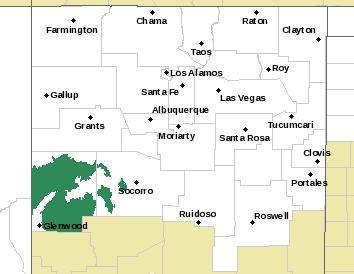 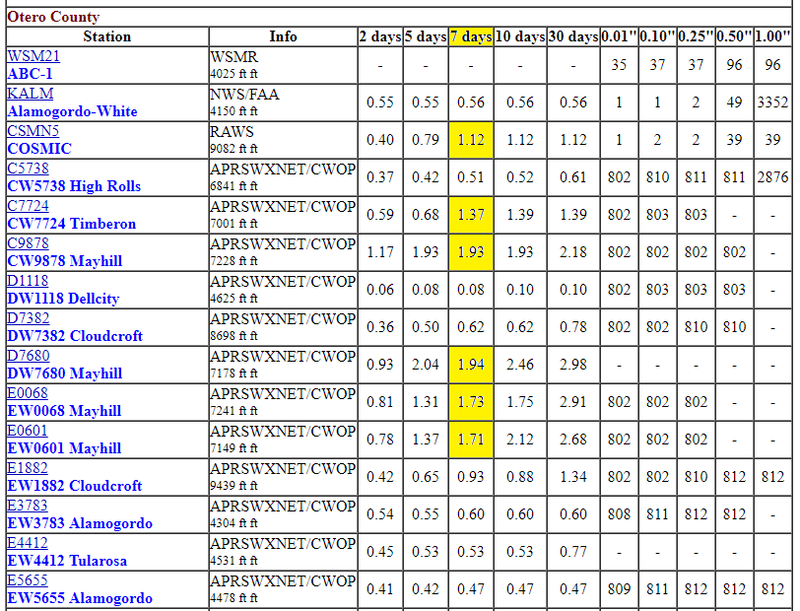 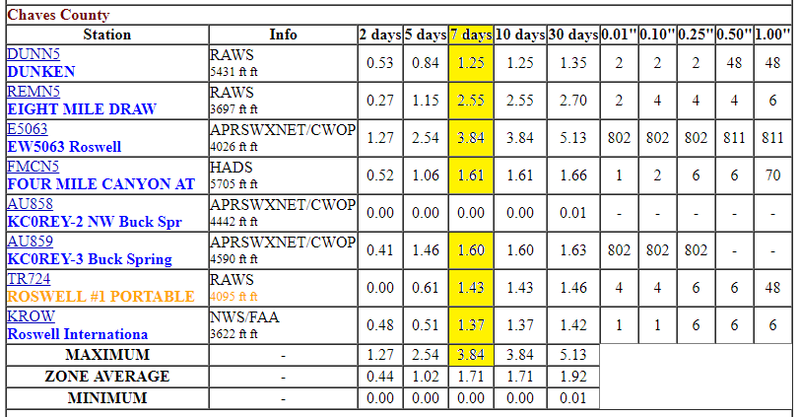 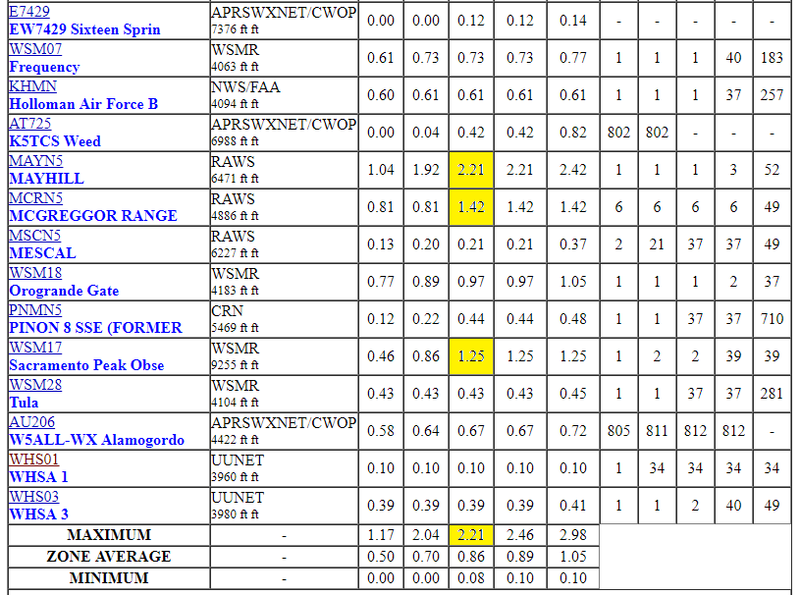 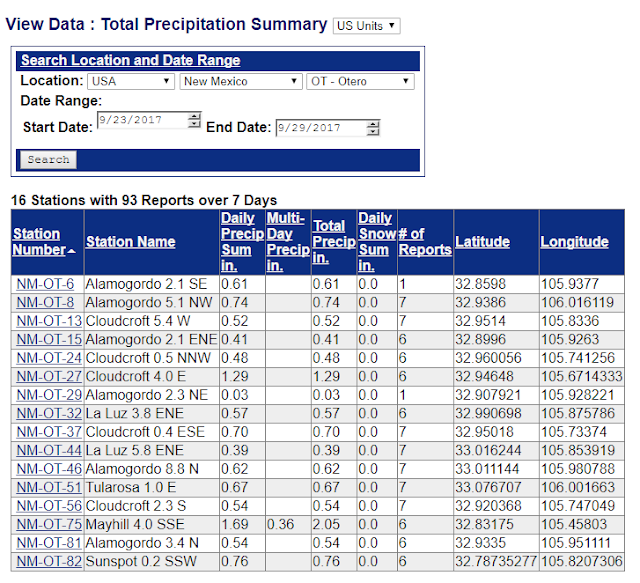 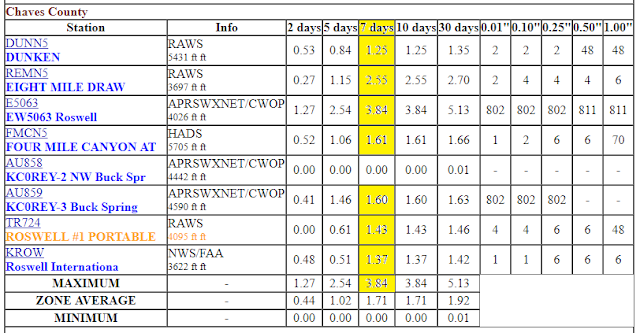 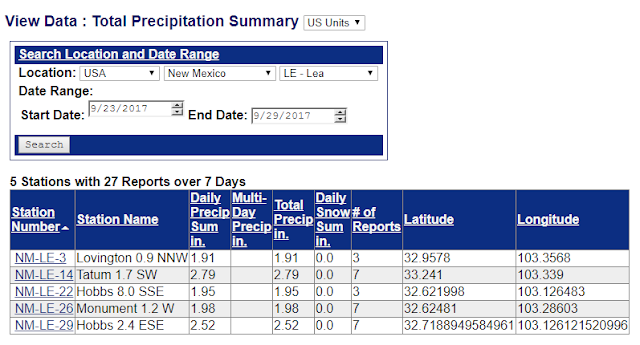 Several other stations in Eastern New Mexico has measured weekly storm totals in the four inch range. 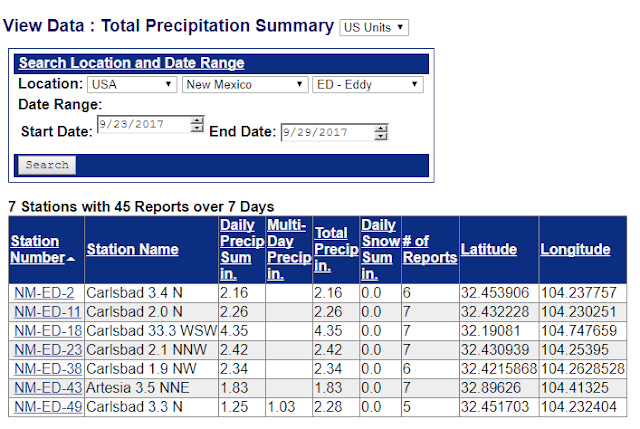 As of 7 AM this morning I had measured 2.42" of rain over the past 7-Days here at our home in northwest Carlsbad. 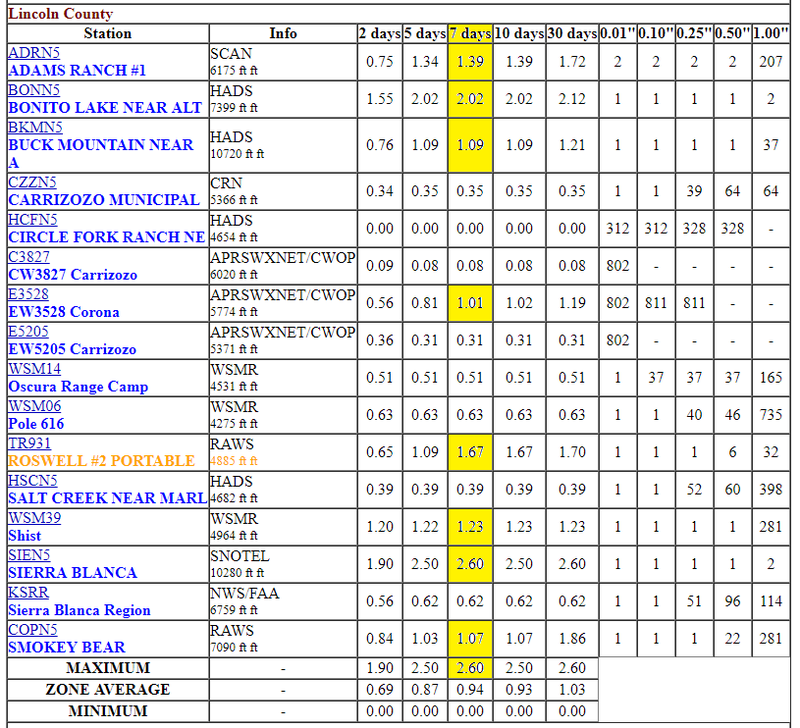 A steady light to moderate rain has been falling since then and as of 11 AM I have measured another .38". 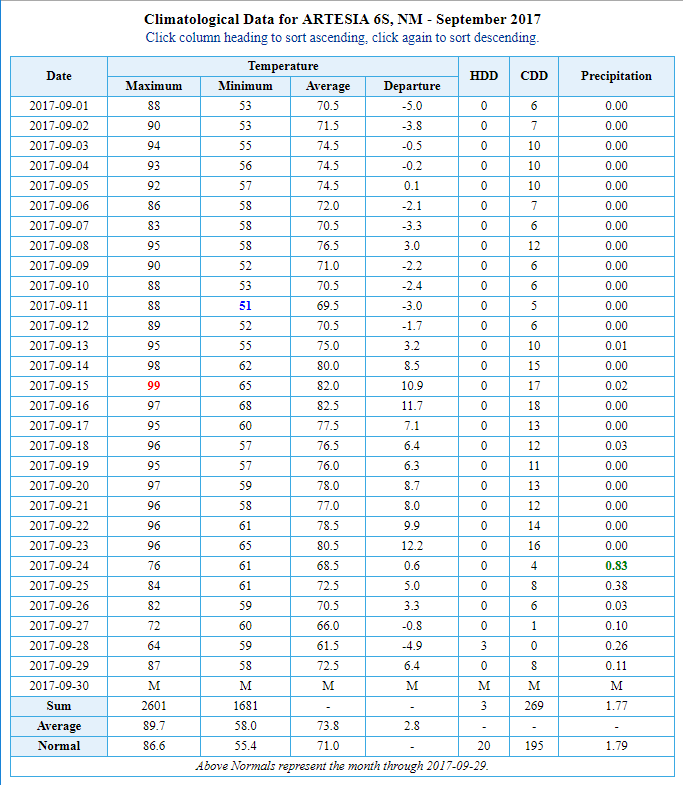 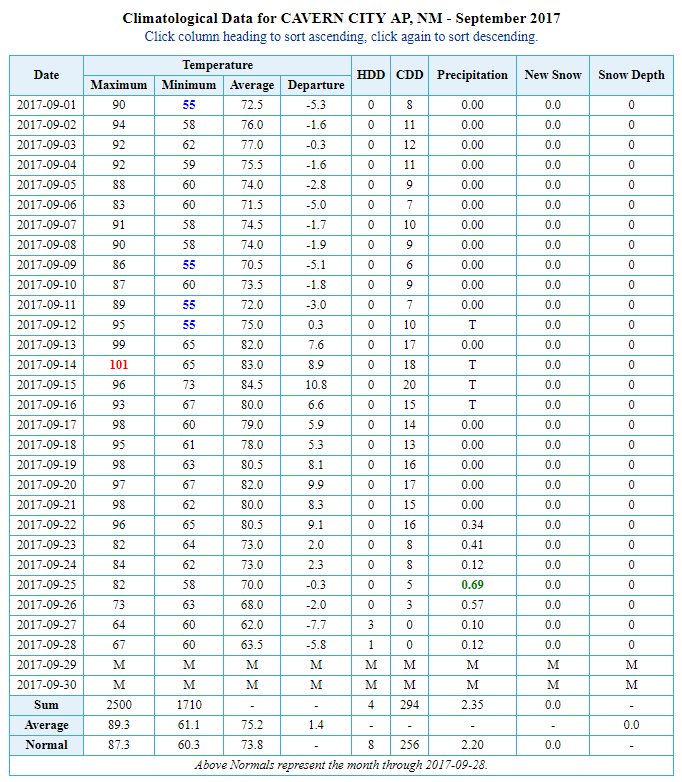 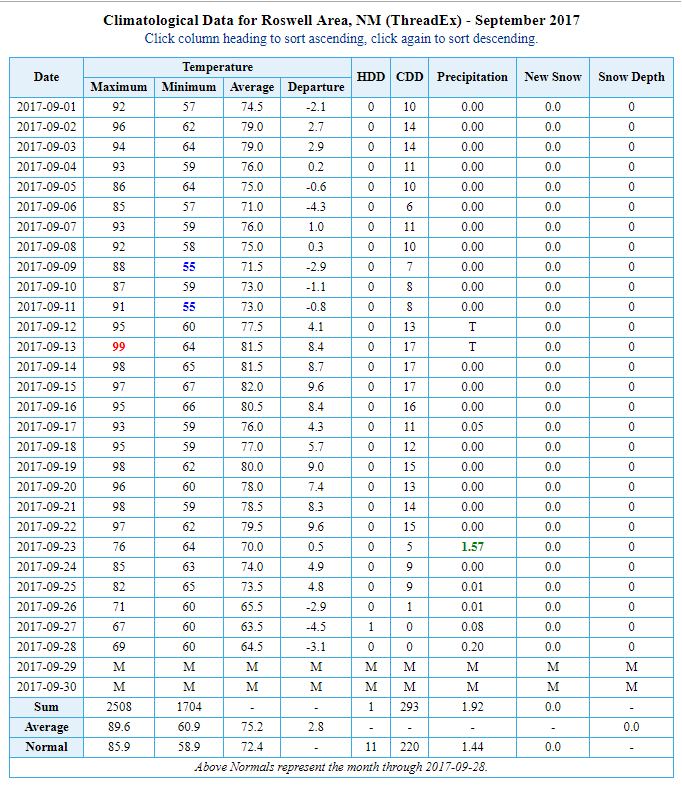 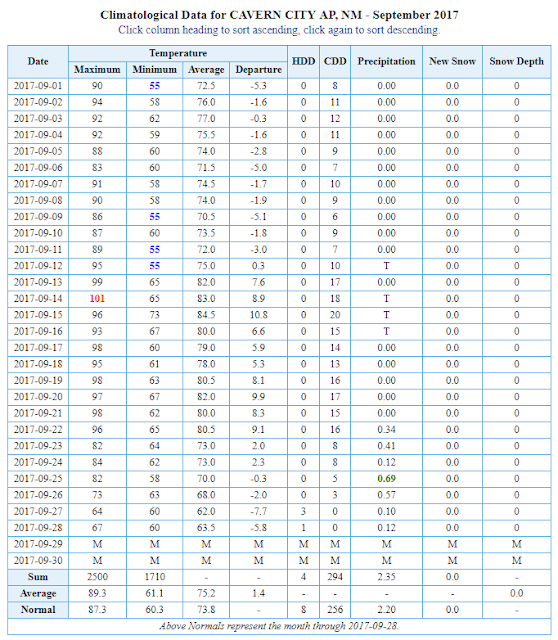 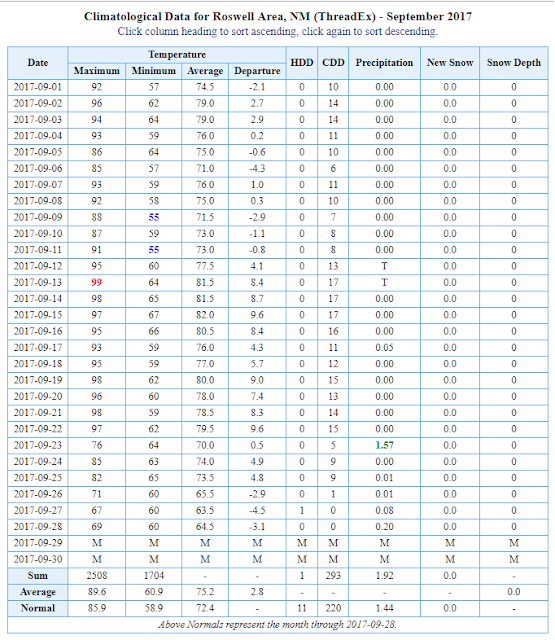 This brings my weekly total now to 2.80", my monthly total to 3.06", and my year-to-date total to 13.79". 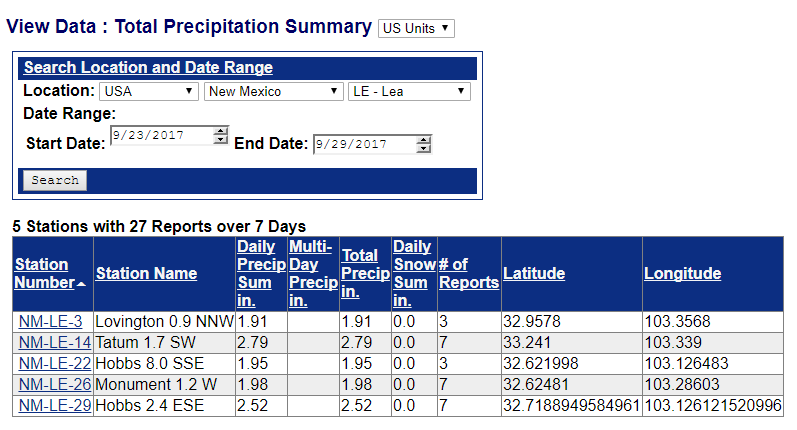 Welcome To Fall New Mexico Style. 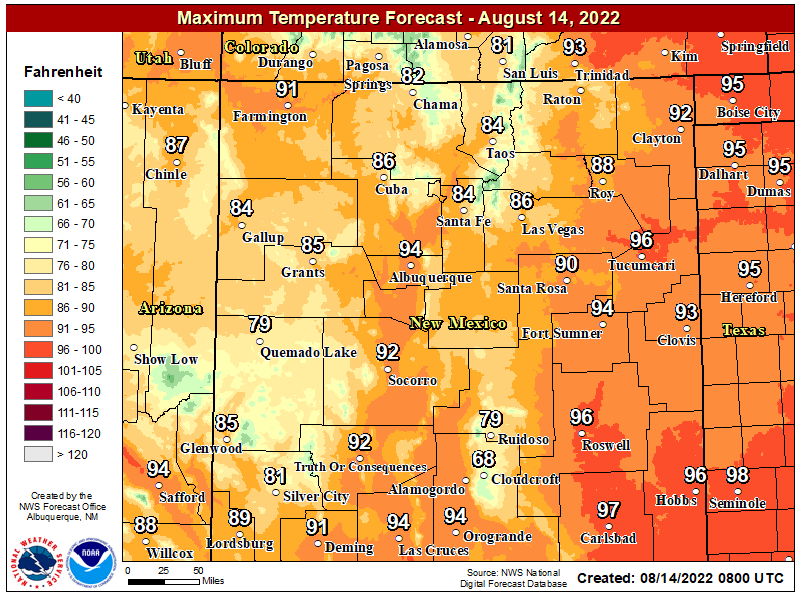 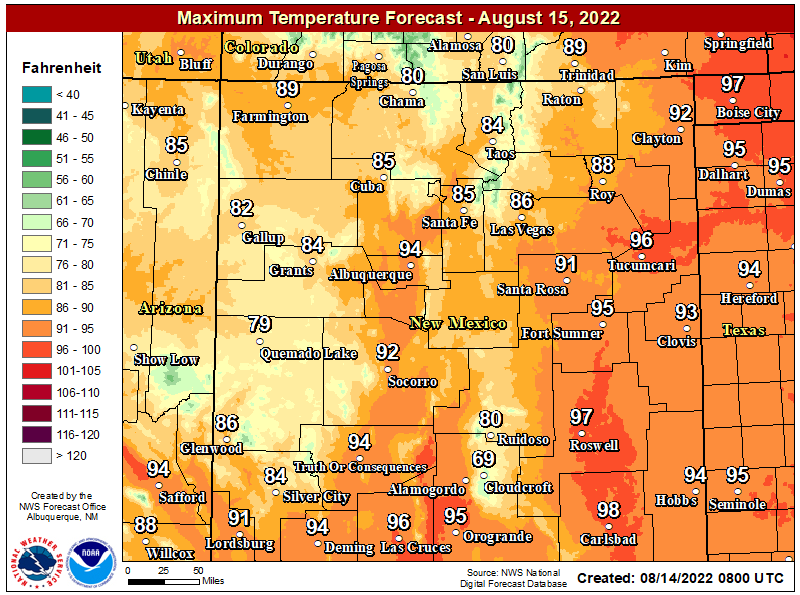 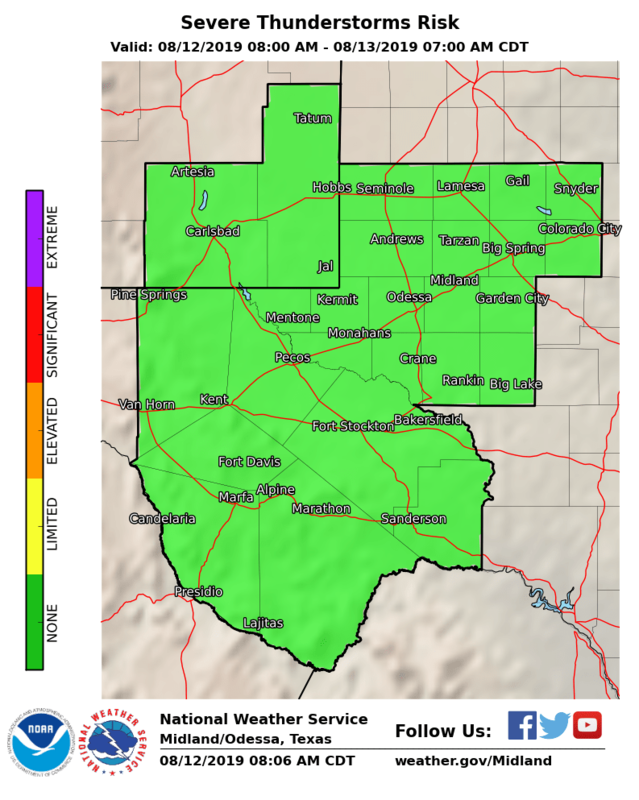 The rains and cool weather will come to an end by Sunday with our forecast high to rise up to 85.